The leak, discovered Wednesday in St. Charles County, forced the closure of sections of both TransCanada's Keystone pipeline and Enbridge Inc.'s Platte pipeline while an excavation crew determines which of the pipelines leaked. ABERDEEN, S.D. (AP) — It's been a year since the Keystone pipeline leaked about 407,000 gallons of oil in northeastern South Dakota, and while the issue has been mitigated, a final federal investigation report has yet to be released. ABERDEEN, S.D. (AP) — TransCanada Corp. is digging up a portion of the Keystone oil pipeline in South Dakota after an inspection identified potential issues with the pipeline's coating. Attorneys for the Trump administration have asked a judge to let TransCanada Corporation move forward with the disputed Keystone XL oil sands pipeline. President Barack Obama rejected the 1,179-mile (1,800-kilometer) pipeline, saying it could exacerbate climate change. A bill that would have required South Dakota’s environmental agency to test crude oil spill sites and share that information with the public failed during the 2018 legislative session, marking the latest in a series of defeats of Democrat-sponsored pipeline regulation bills. BILLINGS, Mont. (AP) — Federal officials must go back and review documents related to the disputed Keystone XL oil pipeline, under a Wednesday court ruling that came after environmentalists accused President Donald Trump's administration of withholding details on the project's approval. BILLINGS, Mont. (AP) — Opponents of the proposed Keystone XL oil pipeline from Canada are asking a judge to force the U.S. government to turn over emails and other documents related to President Donald Trump's approval of the project. Environmentalists who sued to stop the 1,179-mile (1,800-kilometer) pipeline said the documents could bolster their case that Trump's decision was arbitrary and should be overturned by the courts. AMHERST, S.D. (AP) — TransCanada Corp. says cleanup of a massive on-shore oil spill from Keystone Pipeline in South Dakota is halfway finished. Last November, the pipeline leaked 210,000 gallons of crude oil onto agricultural land in Marshall County, one of the largest on-shore oil spills in the U.S. since 2010. BISMARCK, N.D. (AP) — An environmental activist from Seattle was sentenced Tuesday to serve one year in prison for targeting an oil pipeline in North Dakota. Michael Foster, 53, cut through a chain link fence and turned a shut-off valve on the Keystone pipeline in northeastern North Dakota on Oct. 11, 2016. His action was part of a four-state protest to draw attention to climate change and support demonstrations in southern North Dakota against the Dakota Access pipeline. ABERDEEN, S.D. (AP) — Authorities say contaminated soil from a Keystone Pipeline leak site spilled out when a semi-trailer driver became distracted and tipped the rig in northeastern South Dakota. The accident happened Friday morning near Britton. The South Dakota Highway Patrol says the semi driver, 37-year-old William Connors of Show Low, Arizona, was distracted by an electronic device when he drifted onto the wrong side of the road, overcorrected and tipped. SEWARD, Neb. (AP) — He never wanted a pipeline pulsing beneath his fields and farmyard southwest of Seward. But Mike Briggs didn't have a choice in 2009, when TransCanada was building its original Keystone pipeline through Nebraska. "I'm not happy I got my property taken away," he said this week. "I will never understand why we give a foreign oil company, or any for-profit company, the ability to take and condemn American land. That's not right." After nearly a decade of twists and turns, the Nebraska Public Service Commission on Nov. 20 threw yet another curveball at the proposed Keystone XL pipeline. However, the commission’s divided, 3-2 vote to follow the little-discussed “mainline alternative” route, which enters in northern Nebraska before jogging east where it would largely parallel the existing Keystone pipeline, appears to be the best option if the long-delayed project comes to fruition. AMHERST, S.D. (AP) — TransCanada Corp. says it will run an inspection device through its Keystone oil pipeline to make sure there aren't segments of pipe with similar characteristics to a section that ruptured in South Dakota. A company spokesman said Wednesday that it would run the pipeline inspection gauge through its system within a 120-day period ordered by a federal pipeline safety agency. AMHERST, S.D. (AP) — A federal agency says a leak in TransCanada Corp.'s Keystone oil pipeline in South Dakota likely was caused by damage during construction in 2008. TransCanada has begun contacting Nebraska landowners along the newly approved path for its Keystone XL pipeline as the company ponders whether or not to build. 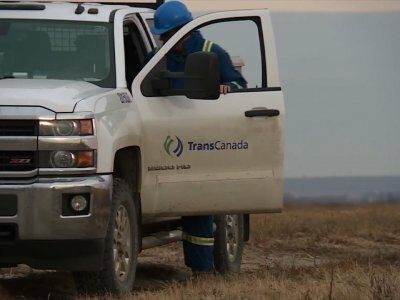 "We're not standing still," said Dean Patry, TransCanada's senior vice president for liquids pipelines, speaking Tuesday to attendees of the Calgary-based company's annual investor day in Toronto. Patry was asked, but gave no timeline for when TransCanada executives will make a final investment decision on the pipeline. AMHERST, S.D. (AP) — TransCanada Corp. plans to resume operation of its Keystone pipeline nearly two weeks after crews shut it down in response to an estimated 210,000-gallon oil spill in South Dakota. The company said in a statement that it will operate the pipeline at reduced pressure beginning Tuesday. TransCanada says the federal Pipeline and Hazardous Materials Safety Administration has reviewed its pipeline repair and restart plans with no objections. ULYSSES, Neb. — One hundred yards west of Dave Rech’s farmhouse, buried 4 feet deep in the rich soil of Butler County, hundreds of thousands of barrels of Canadian crude flow by each day. When TransCanada placed its 30-inch Keystone pipeline across Rech’s farmland a decade ago, he said he didn’t give it much thought. ULYSSES, Nebraska — One hundred yards west of Dave Rech’s farmhouse, buried 4 feet deep in the rich soil of Butler County, hundreds of thousands of barrels of Canadian crude flow by each day. ABERDEEN, S.D. (AP) — Crews cleaning up a large oil pipeline spill in northeastern South Dakota took a little time Thursday for a traditional Thanksgiving meal. The American News reports an emergency response team brought in by TransCanada Corp. served up turkey, stuffing and pie for the crews. AMHERST, S.D. (AP) — TransCanada Corp. says it has recovered more than 24,000 gallons of oil from the site of a pipeline leak discovered last week in South Dakota. The company said 24,450 gallons of oil had been recovered as of Wednesday. TransCanada's Keystone pipeline leaked an estimated 210,000 gallons of oil on agricultural land in Marshall County, South Dakota. GREAT FALLS, Mont. (AP) — A federal judge on Wednesday rejected a bid by the Donald Trump administration to dismiss a lawsuit that challenges a presidential permit for the proposed Keystone XL oil pipeline from Canada. AMHERST, S.D. (AP) — A South Dakota official says TransCanada Corp.'s testing of water from a drainage ditch next to the Keystone pipeline's estimated 210,000-gallon oil spill found no oil. LINCOLN — Nebraska regulators approved TransCanada’s controversial Keystone XL pipeline, but not its "preferred" route through this state — raising questions about whether the company will continue to pursue the project. Monday's split decision by the Nebraska Public Service Commission, which came on a 3-2 vote, adds another twist to a debate that has made headlines for nearly a decade. BRITTON, S.D. (AP) — A TransCanada Corp. official says he believes an estimated 210,000-gallon oil leak discovered last week in South Dakota from the Keystone pipeline was a sudden and "immediate" event. LINCOLN, Neb. (AP) — Nebraska regulators Monday approved a Keystone XL oil pipeline route through the state, breathing new life into the long-delayed $8 billion project, although the chosen pathway is not the one preferred by the pipeline operator and could require more time to study the changes. The Nebraska Public Service Commission's vote also is likely to face court challenges and may require another federal analysis of the route, if project opponents get their way. AMHERST, S.D. (AP) — A South Dakota official says TransCanada Corp. plans to test water from a drainage ditch near the site of a 210,000-gallon oil spill from the Keystone pipeline to determine if it is polluted. 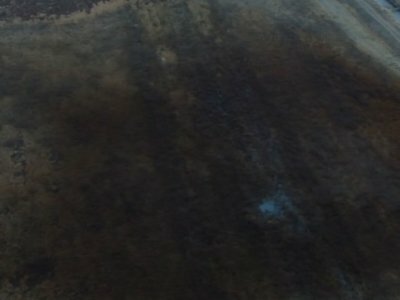 Brian Walsh, a manager at the South Dakota Department of Environment and Natural Resources, said Monday that officials don't believe the oil is polluting the ditch or leaving the spill site through it. PIERRE, S.D. (AP) — South Dakota Gov. Dennis Daugaard says he hopes people who exercise their First Amendment rights will do so peacefully after a Nebraska commission approved a Keystone XL oil pipeline route through that state. Daugaard said Monday he will continue supporting the proposed pipeline as long as it can be built and operated safely. But Daugaard says he recognizes some residents are disappointed by Nebraska's decision. AMHERST, S.D. (AP) — TransCanada Corp. says the company has sent additional crews and equipment to the site of a 210,000-gallon oil spill in South Dakota from its Keystone pipeline. AMHERST, S.D. — TransCanada Corp.'s Keystone pipeline leaked an estimated 210,000 gallons of oil in northeastern South Dakota, the company and state regulators reported Thursday, according to The Associated Press. LINCOLN — Thursday’s oil spill in South Dakota from the Keystone pipeline is not expected to influence Monday’s decision by a Nebraska agency on a companion pipeline here. The five members of the Nebraska Public Service Commission will vote Monday whether to approve or deny a route for the Keystone XL project across Nebraska. The spill of an estimated 210,000 gallons of crude oil in South Dakota on Thursday from TransCanada's Keystone Pipeline is one of the 20 largest onshore oil or petroleum product spills since 2010. Here are the top 20 spills during that period as reported to the U.S. Department of Transportation. The list ranks them by size and includes the date, gallons spilled, commodity, company name, city or county and state of spill and estimated costs including property and environmental damages. Operator TransCanada Corp. says the leak of oil from the Keystone pipeline is "controlled" and not a threat to public safety. The company says in a news release Friday that it has sent more than 75 people to the site of a spill in a rural area of South Dakota and crews were working "around the clock." AMHERST, S.D. (AP) — In a Nov. 16 story about the Keystone pipeline oil spill, The Associated Press incorrectly reported that it was smaller than 17 other leaks of oil or petroleum products in the U.S. since 2010. It was smaller than 16 and the same size as one other. TransCanada Corp.'s Keystone pipeline leaked an estimated 210,000 gallons of oil onto agricultural land in northeastern South Dakota, but state officials don't believe the leak polluted any surface water bodies or drinking water systems. The Sierra Club is urging Nebraska regulators to reject the proposed Keystone XL oil pipeline after TransCanada Corp.'s existing Keystone pipeline leaked an estimated 210,000 gallons of oil in South Dakota. Sierra Club Beyond Dirty Fuels campaign director Kelly Martin said Thursday that the only way to protect Nebraska communities is to "to say no to Keystone XL." LINCOLN — Lawyers sparred over issues of credibility and relevancy as the state’s hearings on the proposed Keystone XL pipeline began Monday. Witnesses testifying on behalf of pipeline developer TransCanada spent the day defending the adequacy of its application for the 275-mile route across Nebraska, and even the accuracy of its projections that the $8 billion project would generate 4,000 construction jobs and millions of dollars in additional property taxes. OMAHA, Neb. (AP) — A coalition of environmental groups challenged the federal permit for the Keystone XL oil pipeline in court on Thursday because they say additional environmental scrutiny is needed. The Sierra Club, Natural Resources Defense Council and other groups say the initial environmental review completed in 2014 is inadequate and outdated, and that it underestimated how much the pipeline would encourage tar sands oil production in Canada.